The sauce for these mussels is a revelation: full of wonderful flavours and balance, rich and yet light. Don’t be afraid of the amount of whiskey you put in either – it really works. Wash and debeard the mussels and throw any that won’t close away. Finely slice the leek and celery (keep the yellow celery leaves for sprinkling over at the end). Put a wide, deep pot on a medium heat and add some olive oil and a knob of butter, along with the leek and celery. Cook for about 10 minutes or until the vegetables are soft then flake in the smoked haddock and pour in the whiskey. Set the pan alight and wait until the flames die down – mind your eyebrows. Add the mussels and double cream. Stir well, put the lid on the pan and cook for 4-5 minutes or until the mussels have all popped open – throw away any that stay closed. 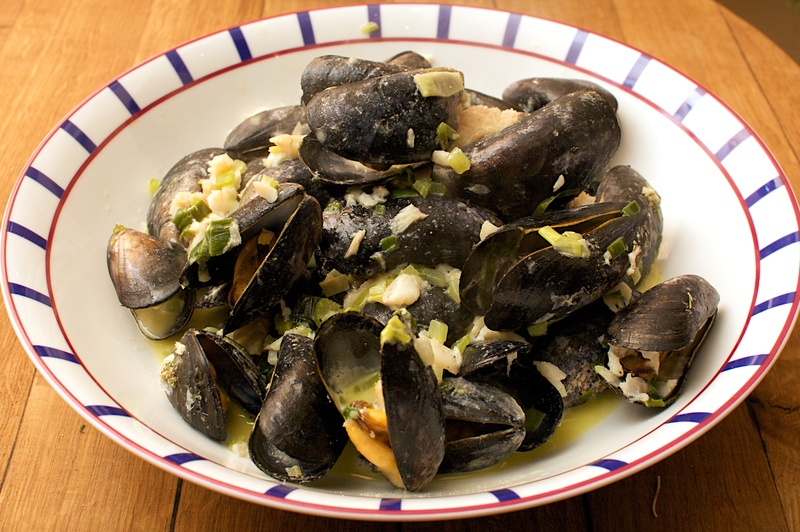 Move the mussels to a large bowl with a slotted spoon. Bubble the cooking liquor until it thickens. Roughly chop the parsley and add to the pot. 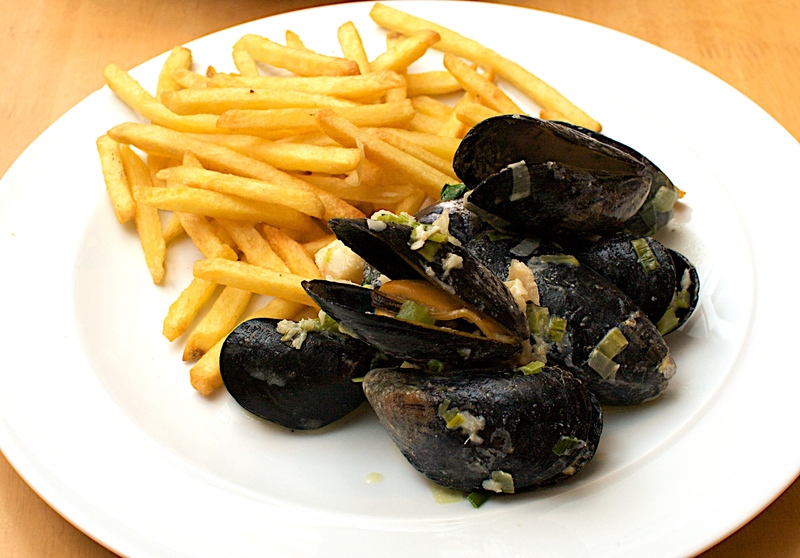 Taste the sauce for seasoning and pour it all over the mussels Scatter the celery leaves over and serve with bread or skinny chips. Wine Suggestion: Pick a nice dry and good quality German Riesling which should give you racy acidity, minerality and Riesling flavours which work well with the mussels and smoked haddock. We had a stunning example from Wagner Stempel – well worth checking out this up and coming producer from the Rheinhessen region (infamously known for Liebfraumilch!). Or you could always have a shot of whiskey! Sounds like a righteous wine substitute. I have some Irish whiskey somewhere, I might try this. Yum! This looks and sounds Amazing!